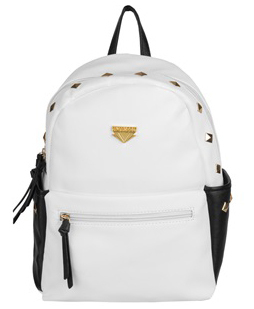 the mini rivets backpack is the perfect combination of edgy and sweet. it's not too big, not too small size is just right for everyday use. 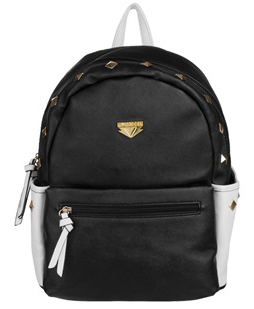 the design features: one front zippered pocket, two side pockets, a large zippered interior pocket, and two more interior pockets for organizing all your possessions. you'll be feelin' real cool with this pack.